Donna Taglione wanted to use her wedding dress for gifts to pass on to future generations. She wasn’t interested specifically in christening gowns as much as smaller gifts that she could give to children and grandchildren. 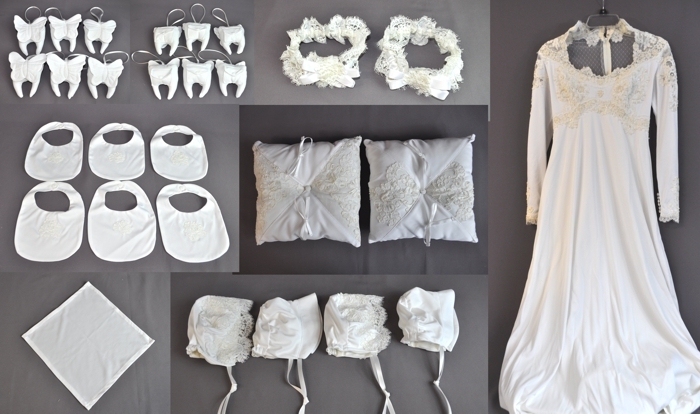 We made ring pillows, garters, a pocket square, headbands, bonnets, bibs and tooth fairy pillows.